Flatbush outscored SAR 24-7 in the second half to notch the Varsity Boys basketball team’s first victory of the 2014-15 season. Balanced scoring, solid rebounding and dominant backcourt pressure keyed the Falcons victory on the road Monday night in Riverdale, NY. On the heels of an opening season loss that showed only that this team could run a stifling press, there was major concern about where points would come from. For the second time, the offense was slow to start, and it began to look again like the lion’s share of the scoring would come from Bobby Soffer, who tallied all 7 of the team’s 1st quarter points. To compound things, SAR reeled off 13 points to 2 from Flatbush to start the 2nd quarter, building a 20-9 lead that had the Falcons back on their heels and on the verge of getting blown out. But up stepped the Falcon defense, and rookie point guard Eli Cattan. With Co-Captain Ray Braha and Junior Albert Richter alternating at the top of the team’s “13” defense, the Falcons staunched the flow of the Sting offense, and Cattan caught fire, scoring 8 straight points to end the half and close the gap to only 3, with SAR clinging to a 20-17 lead. Then, the defense took over. The press began to take its toll on the Sting players. Frustration and fatigue set in, and SAR could generate only 4 points of offense in the 3rd period. David Dayan, seeing his first action of the season, dominated the defensive paint, blocking 3 shots and hauling in 6 rebounds. Allan Maleh and Ray Braha combined for 9 points at the other end, and the Falcons took a 6 point lead entering the final period. The Falcon defense was even stingier in period four, yielding a total of 3 points behind the interior play of Senior Mayer Kamkhatchi and the tenacity of Junior Elliot Beyda anchoring the press. The offense continued to flow, with Senior Sam Silverman breaking out for 5 points, leading the Falcons as they coasted the rest of the way to the 14-point victory. Eli Cattan led the Flatbush scoring attack with 8 points on the night. Allan Maleh and Bobby Soffer finished with 7 points each. Sam Silverman added 5 in the winning effort. David Dayan led all rebounders with 8. Soffer collected 6 steals. Flatbush was 18-27 from the free throw line, a marked improvement from the opening night effort a week ago. After the Rosh Hashannah break, the Falcons Varsity will return to action on Thursday, 10/2, in the second game of a JV/V doubleheader at JEC in Elizabeth, NJ with the JV scheduled for a 7:15 pm tip-off. 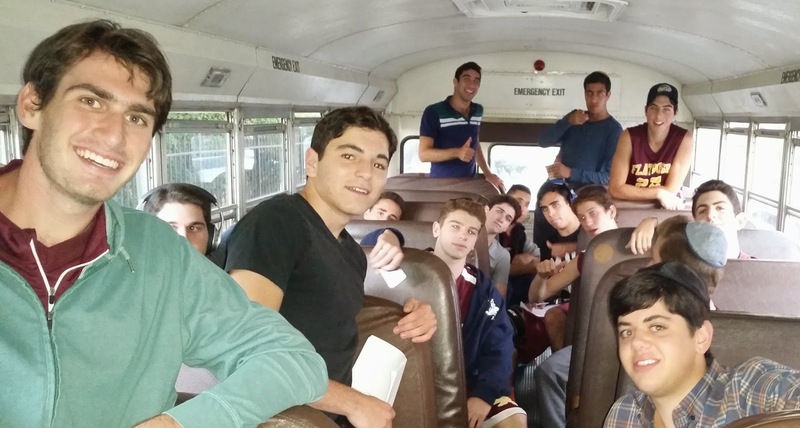 The JV Boys open their 2014-15 campaign on Tuesday, 9/30, at DRS in Cedarhurst, LI. Game time is 7:30 pm. EKO Commission Marches to Save the Planet!